HoneyBadger is a TCP attack inquisitor and 0-day catcher. comprehensive passive TCP protocol analysis for detecting and recording TCP injection attacks, also known as a Quantum Insert detector. As such, it performs a passive analysis of TCP (transmission control protocol) traffic and tries to detect evidence of a MOTS (man-on-the-side) attack. HoneyBadger includes a variety of TCP injection attacks prototypes also written in golang. HoneyBadger is not a honey pot even though it has the word honey in the name. But it could certainly be used with a honey pot. HoneyBadger does not try to determine if an attack attempt was successful because in principal we cannot know which packets come from the attack and which come from the legit party. 2016/02/07 14:16:32 HoneyBadger: comprehensive TCP injection attack detection. 2016/02/05 23:30:01 FIN-WAIT-1: non-ACK packet received. 2016/02/05 23:30:01 1 connection(s) closed. As far as my humble legal-system understanding is concerned it should be legal to operate an opt-in HoneyBadger service for users who consent to having their traffic recorded. It is the author’s firm belief that it is definitely legal to monitor your own traffic using HoneyBadger with the full-take logging features. 2016/02/18 19:11:19 HoneyBadger: comprehensive TCP injection attack detection. TODO: i need to learn how to use the HardenedBSD jail security features! SmartOS, a modern OpenSolaris distribution uses pkgsrc source packages. If you do not have access to an OpenBSD CD then you’ll want to download the public key multiple times from various locations on the Internet (via multiple Tor circuits) until you are comfortable with running the giant binary blob of code you just downloaded. Once your OpenBSD compute instance is booted then you can login and make many changes; I’m going to follow the instructions here https://golang.org/doc/install/source and build golang 1.5.x from source. Maximum number of concurrent connection to track. pcap filename to read packets from rather than a wire interface. Currently only our libpcap sniffer supports filtering... that is the -f flag only affects honeyBadger if you are using the lipcap ethernet sniffer... which is the default unless you specify the -daq option with either BSD_BPF or AF_PACKET. In any case you must definitely specify a network interface to sniff with -i. The options -w and -s are only relevant to the libpcap packet capture mode (-daq), you probably want to use the default values. You must specify a logging directory using -l. packet logging to pcap file(s) is turned off by default. If you set -log_packets to true then honeybadger will write one pcap file per connection. Upon connection close honeybadger will delete the pcap logfile unless a TCP attack was detected. duly note: this will cause lots of filesystem churn when sniffing high traffic interfaces. Clever honeyBadger-Operators will use a RAM-based filesystem for their logs. If you set -metadata_attack_log to false then honeybadger will log the attack packet payload AND the stream overlap. This feature is expected to help honeyBadger-Operators to eliminate false positives. Our honeybadger attack report tool(s) can read the json attack report files and print out and ASCII + hex color-coated diff of the injected data versus reassembled TCP stream overlap. -connection_max_buffer and -total_max_buffer are used to limit the amount of page-cache pages that honeybadger can use for storing and reordering out-of-order-packets (much like TCP’s mbuf datastructure). -tcp_idle_timeout is important... each connection continues to be tracked even after a close so that we might detect certain types of atacks. -max_ring_packets is very important to set appropriately; it determines the size of the TCP reassembly ring buffer. This ring buffer is utilized for the retrospective analysis that allows us to determine if a given packet overlaps with previously reassembled stream segments. I estimate that this ring buffer should be set to a size that is roughly equivalent to the TCP window size of the connection... but maybe someone can help us pick a better heuristic? I usually set it to 40 and it works OK.
-max_pcap_log_size and -max_pcap_rotations are used to adjust a simple log rotation scheme used limit the amount of disk utilized by pcap-packet logs. build honeyBadger and sprayInjector (located under the cmd directory in the source repository) and (if you don’t want to run them as root) run setcat to set capabilities on the binaries (eg, setcap cap_net_raw,cap_net_admin=eip honeyBadger as root). run honeyBadger with these arguments... Note we are telling honeyBadger to write log files to the current working directory. In this next step we enter some data on the netcat server so that it will send it to the netcat client that is connected until the sprayInjector prints a log message containing “packet spray sent!” In that cause the TCP connection will have been sloppily injected. The injected data should be visible in the netcat client’s output. Look for the log files in honeyBadger’s working directory. You should see two files beginning with “127.0.0.1”; the pcap file is a full packet log of that TCP connection which you can easily view in Wireshark et al. The JSON file contains attack reports. This is various peices of information relevant to each TCP injection attack. The sprayInjector tends to produce several injections... and does so sloppily in regards to keeping the client and server synchronized. what does HoneyBadger not do? 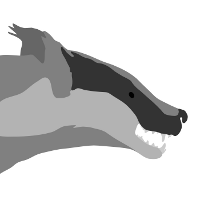 © Copyright 2015, David Stainton & the honey badger drawing is creative-commons licensed by a volunteer contributor.... Created using Sphinx 1.3.5.